Eastern South Dakota offers a variety of beautiful scenery. 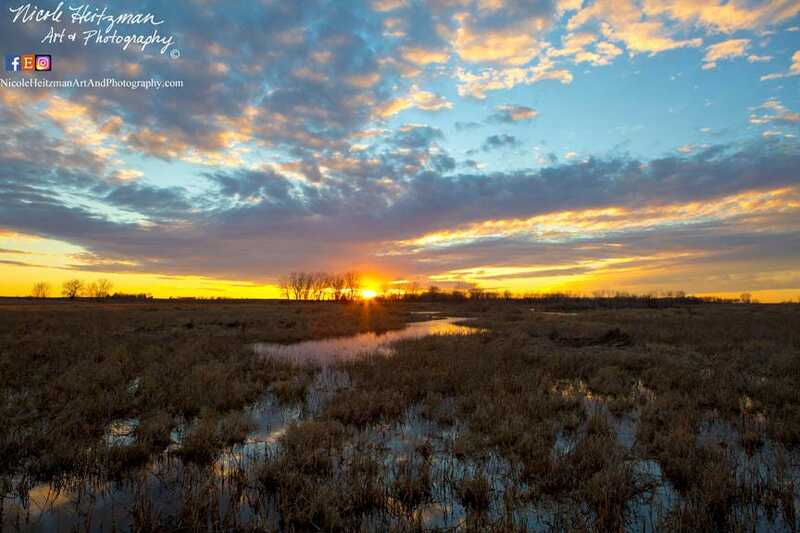 This sunset photo was captured by Nicole Heitzman while trekking through a wetlands area in southeastern, SD. This is a 24"x16" Metal Print The metal creates a crisp vibrant look with a beautiful sheen. Color on the screen may vary from the actual print.